The long-serving CEO of the American Gaming Association (AGA) Frank Fahrenkopf will step down from his role at the pro-gaming advocacy group, ending a 17-year relationship that has seen the AGA slowly move the acceptance of, and the practices within, the gaming industry forward. A former Republican National Committee Chairman, Fahrenkopf was the first and only CEO of the AGA, which was established back in 1995. During his tenure as the CEO of the AGA Fahrenkopf oversaw a number of advancements in the gaming industry, perhaps most notable among the AGA’s accomplishments was the creation of the National Center for Responsible Gaming, and more recently the AGA has been at the forefront of legalizing and regulating online poker, working with a number of groups and governments. 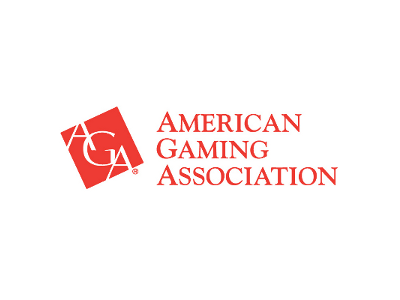 WASHINGTON – Frank Fahrenkopf, president and CEO of the American Gaming Association (AGA), announced today that he is stepping down from his AGA position, effective June 30, 2013. The AGA board and Fahrenkopf have been involved in succession planning over the course of the past two years and reached an agreement in December 2011 on the date when he would step down. Fahrenkopf has been the first and only chief executive of the AGA since its inception in July 1995. Fahrenkopf noted that when the AGA was created, the perception of the gaming industry in Washington and throughout much of the country was based more on myth than reality. From its first day of operation, the AGA’s mission has been to create a better understanding of the industry by bringing the facts about it to the general public, elected officials, other decision makers and the media through education and advocacy. The AGA has enjoyed tremendous success under Fahrenkopf’s leadership. Gaming industry leaders cited the positive findings and recommendations of the National Gambling Impact Study Commission, the establishment and good works of the National Center for Responsible Gaming, and the worldwide success of industry trade shows Global Gaming Expo and G2E Asia as watershed accomplishments. The creation and adoption of an industrywide code of conduct for responsible gaming, creation of the AGA Diversity Task Force to promote diversity in industry hiring and procurement, the recent establishment of the Global Gaming Women program and leadership in the pursuit of intelligent regulatory reform also are key successes. An executive search firm has been retained to identify Fahrenkopf’s successor. Post-June 30, he will be retained as a consultant to the AGA to assist with the transition through at least the end of 2013. Fahrenkopf was the chairman of the Republication National Committee for six of Ronald Reagan’s eight years in the White House and led the party through successful presidential elections in 1984 and 1988. He continues to serve as co-chairman of the Commission on Presidential Debates, which conducts the general election presidential and vice presidential debates in presidential election years. For more information about the AGA and the global gaming entertainment industry, visit www.americangaming.org and follow the AGA on Twitter and Facebook.